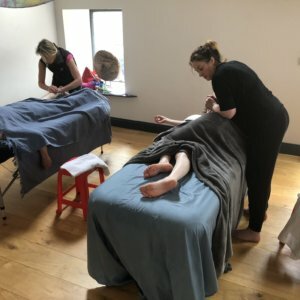 Choosing the correct massage course in the UK can be a minefield, especially with different courses claiming to be “Official” or “Fully Regulated”. 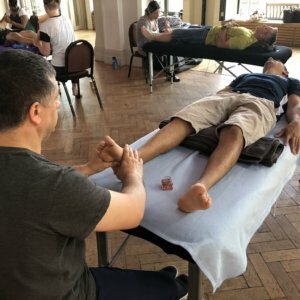 Do I need an ‘official’ massage qualification? A good starting point is to understand that here in the UK, the massage industry is completely unregulated. The scary truth is that anyone can call themselves a massage therapist and give massage treatments without having any training at all! Of course that is not appropriate and we certainly wouldn’t recommend that! 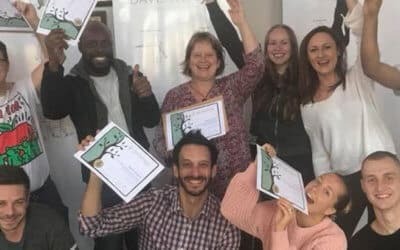 If you want to run your own business as a massage therapist then there is no requirement at all to have a Level 3 qualification like an ITEC. It’s simply not necessary. Getting an ITEC involves a long drawn out process of being taught in a classroom situation having to memorise extensive Anatomy and Physiology with various exams to pass. We really don’t feel that this is the best environment in which to learn massage. Most of the A&P that is taught will never be used in the working life of a massage therapist. 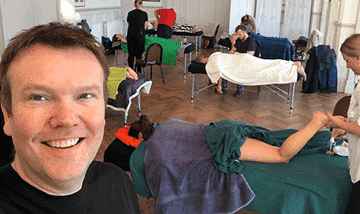 What should you look for in a massage training course? There are some outside factors that provide some regulation to the massage industry. The main one is a requirement to having Professional Indemnity Insurance. 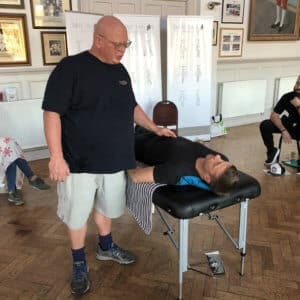 Even though there is no law here in the UK that states that you need to have Indemnity Insurance to work as a massage therapist, it would be inadvisable and reckless not to have it. Furthermore, many establishments would not allow a massage therapist to work on their premises if they weren’t covered by Professional Indemnity Insurance. Not all massage qualifications are recognised by the insurance companies, so it’s important to choose a course that will give you a qualification that will enable you to get insured and start massaging immediately! The main thing that regulates massage therapists though is their own abilities. Putting it simply, if the massage is not to a good standard then clients wont come back. Word soon spreads! Without effective training, massage therapists are unlikely to have any kind of meaningful career. 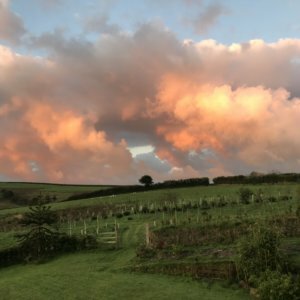 Raynor Massage – A Massage With A Difference! Raynor Massage goes way beyond what people would class as a regular massage treatment. Raynor Massage Therapists are highly in demand as they offer clients a truly effective, deep tissue style of massage that they struggle to find elsewhere. 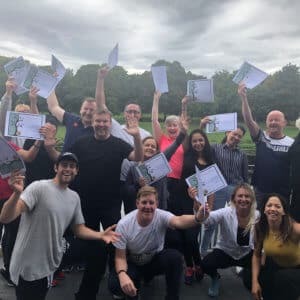 Now of course, many people have not heard of Raynor Massage, but this is changing rapidly as more and more graduates are setting up their own business up and down the country. It really makes no difference though whether people have heard of Raynor Massage or not. One treatment is usually enough to make someone a regular client. Because Raynor Massage offers relief from both physical and emotionally held tension in a way that you just don’t get from other massage therapies, clients will happily pay a premium for this style of massage. Some therapists choose to belong to a governing body though it is not essential here in the UK. Raynor Massage therapists can become a member of the IICT (International Institute for Complimentary Therapists). Some local authorities would insist that you have a ‘special license’ to provide massage from a home location. 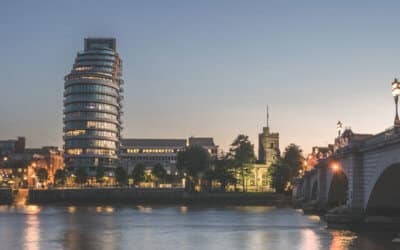 However, as there is no government approved massage qualification the local authority is rarely interested in what qualification you have and are more concerned about the premises you are working from. This varies throughout the UK depending on local councils, so you should always check the requirements within your own area. Raynor Massage can be used to treat different healt problems such as frozen schoulder, lower back pain, abdominal problems or general stress and emotional imbalance. 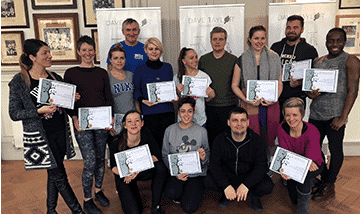 A 5-day introductory course results in being awarded the Certificate qualification in Raynor Massage and does not require background or experience in massage at all. 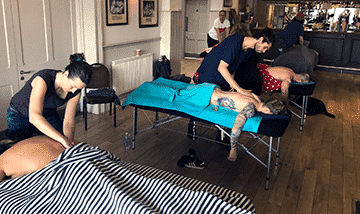 A 5-day massage Diploma Course is designed for those, who want to become profesional massage therapists or therapists who want to improve their skills. It is required to complete the Certificate Course first. 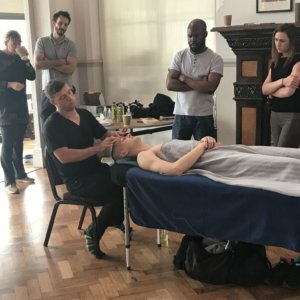 Currently we teach massage in London and Dublin. 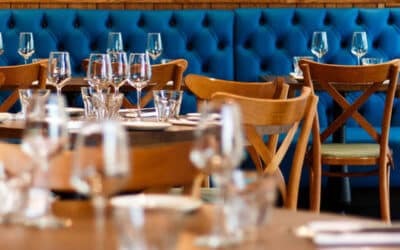 New courses in Glasgow and Manchester are coming soon! We are an approved training provider by the International Institute of Complementary Therapists.